On Dec. 3, the Japan Aerospace Exploration Agency (JAXA) successfully launched its Hayabusa2 mission to rendezvous with an asteroid, land a small probe plus three mini rovers on its surface, and then return samples to Earth. NASA and JAXA are cooperating on the science of the mission and NASA will receive a portion of the Hayabusa2 sample in exchange for providing Deep Space Network communications and navigation support for the mission. Hayabusa2 builds on lessons learned from JAXA’s initial Hayabusa mission, which collected samples from a small asteroid named Itokawa and returned them to Earth in June 2010. 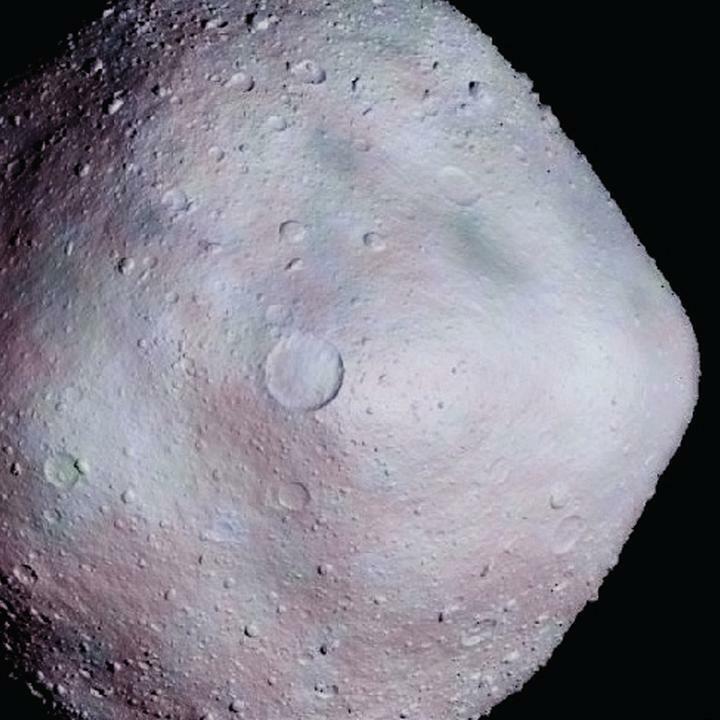 Hayabusa2’s target is a 750 meter-wide asteroid named 1999 JU3, because of the year when it was discovered by the NASA-sponsored Lincoln Near-Earth Asteroid Research project, Lexington, Massachusetts. This is a C-type asteroid which are thought to contain more organic material than other asteroids. Scientists hope to better understand how the solar system evolved by studying samples from these asteroids. On Nov. 17, NASA and JAXA signed a Memorandum of Understanding for cooperation on the Hayabusa2 mission and NASA’s Origins, Spectral Interpretation, Resource Identification, Security – Regolith Explorer (OSIRIS-REx) mission to mutually maximize their missions’ results. OSIRIS-REx is scheduled to launch in 2016. It will be the first U.S. asteroid sample return mission. OSIRIS-REx will rendezvous with the 500-meter-sized asteroid Bennu in 2019 for detailed reconnaissance and a return of samples to Earth in 2023. Hayabusa2 and OSIRIS-REx will further strengthen the two space agencies’ relationship in asteroid exploration. The missions will also help NASA choose its target for the first-ever mission to capture and redirect an asteroid. NASA’s Asteroid Redirect Mission (ARM) in the 2020s will help NASA test new technologies needed for future human missions for the Journey to Mars. Comets and asteroids contain material that formed in a disk surrounding our infant sun. The hundreds of thousands of known asteroids are leftovers from material that didn’t coalesce into a planet or moon in the inner solar system. The thousands of known comets likely formed in the outer solar system, far from the sun’s heat, where water exists as ice. Larger objects like dwarf planets Pluto and Ceres also formed in the outer solar system, where water ice is stable. Pluto and Ceres will soon be explored by NASA missions New Horizons and Dawn, respectively. Asteroids and comets are of unique interest to scientists, though, because they could hold clues to the origins of life on Earth. These missions have greatly increased scientific knowledge on Earth about our solar system and the history of our planet. Many scientists suspect we could find organic material in asteroids and comets, like amino acids—critical building blocks for life, which could help answer questions about the origins of life on Earth. These questions drive us to continue exploring the intriguing asteroids and comets of our solar system. Multiple missions that are operating in space or in development by NASA and international partners could bring us much closer to answering that question in our lifetimes and also help identify Near-Earth Objects that might pose a risk of Earth impact, and further help inform developing options for planetary defense. NASA science is focused on better understanding Earth through the Earth Observing System, advancing heliophysics through the efforts of the Science Mission Directorate’s Heliophysics Research Program, exploring bodies throughout the Solar System with advanced robotic missions such as New Horizons, and researching astrophysics topics, such as the Big Bang, through the Great Observatories [Hubble, Chandra, Spitzer, and associated programs. NASA shares data with various national and international organizations such as from the Greenhouse Gases Observing Satellite.